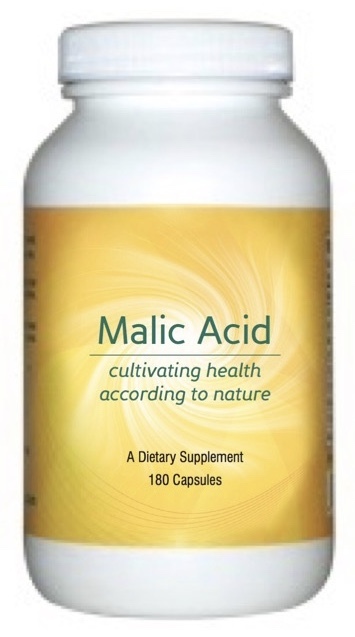 HEq Malic Acid™ is an excellent source of acid for digestion. It increases protein digestion and mineral absorption, improves energy and stamina and removes aluminum from the nervous system. Malic Acid™, especially in combination with a Health Equations electroLYTE Solution™, provides acid essential for digestion and health. It is much more effective than Betaine HCl. Take three Malic Acid capsules in the middle third of each meal. Do not substitute less expensive malic acid tablets for HEq Malic Acid™ capsules. There is no “acid” in HEq Malic Acid™ tablets. Do not take malic acid capsules with magnesium stearate or stearic acid.